A delicate bridal halo perfect for a boho bride. 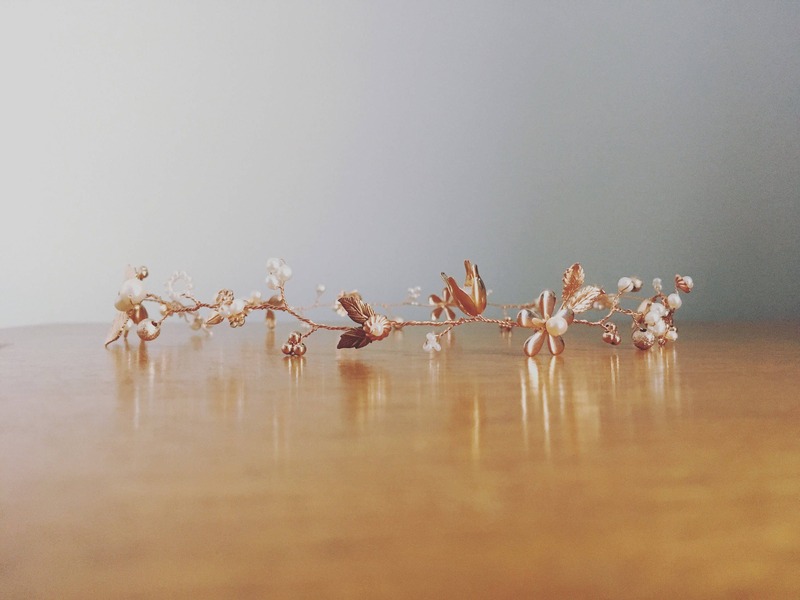 Rose gold plated flowers entwined with pearls and rose gold beads to make a beautiful bridal halo. Please note each piece is handmade so will vary slightly. It will be a unique piece. Made to measure, please send measurement in note to seller when purchasing.